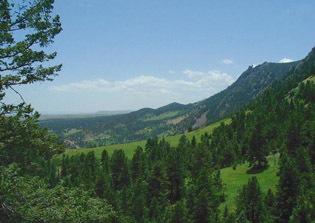 SenSys 06 has arranged for special rates with several hotels in Boulder. There are currently rooms still available at the Boulderado Hotel! Bus service will pick up at the offical SenSys hotels. The Boulderado is located next to the Perl Street walking mall in the heart of Boulder. The St Julien is located next to the Pearl Street walking mall in the heart of Boulder; the hotel has a view of the Flatiron Mountains. The Millenium is about 5-10 minute walk to the conference venue and has a view of the Flatiron Mountains and the CU stadium. Reservations: Reservations can be made online through The Millennium's SenSys site. You can also access The Millenium website directly and enter the group code SENSYS. Finally, reservations can be made by FAX using the hotel's registration form. A site containing information about restaurants, local attractions, maps and directions, parking and public transportation, and the local weather conditions is being compiled by the graduate students at the University of Colorado. This site will be updated regularly as the conference approaches, so check back as you start to make your travel arrangements.